Sweet potatoes a real healthy bomb for athletes! Do like me and use them no matter how you prepare them. Even nutritionists claim that sweet potatoes are sometimes more useful than others, even though they are not to be ignored. 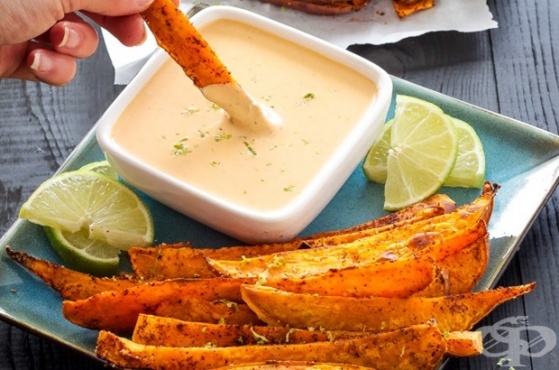 The difference between plain and sweet potato is still in favor of the sweet one. Sweet potatoes belong to the family of flowers and are much closer to the gramophone and the bellflower than to the potatoes. The truth is that this is one of the reasons why they are also called “sweet potatoes.” This tuberous vegetable comes from Central America and enjoys wide popularity on all continents, with Asian cuisine abounding in a variety of recipes for their preparation. The nutrients in sweet potatoes are the vitamins A, C, D and B complex, fiber, potassium, copper, phosphorus, athexoxidants, sodium, potassium, calcium, iron and vegetable sugar. I will show you the positive aspects of sweet potatoes in 9 points, and I hope that I will convince you to include them in your daily menu. 1. 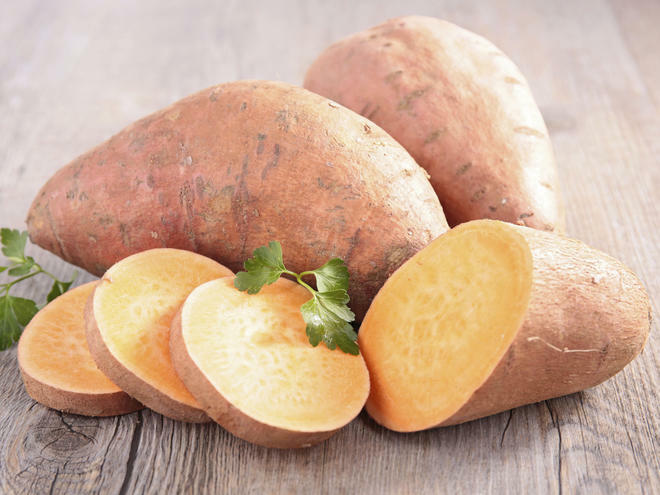 Sweet potatoes have antioxidants that help your body cope with a number of problems in different seasons of the year such as asthma, arthritis, even gout and so on. 2. The content of vitamins is in favor of your immune system. 3. Sweet potatoes have carbohydrates, which are slowly absorbed by the body, and this makes them a suitable food for those suffering from diabetes. Fiber helps at the same time to maintain blood sugar levels. 4. Sweet potatoes are recommended for pregnant women or for trying to get pregnant because they are rich in folic acid. 5. Adding sweet potatoes to the menu will give your body the necessary vitamin B6, which is essential for keeping a healthy heart. Vitamin B6 helps reduce homocysteine, which causes degenerative diseases of the cardiovascular system and is responsible for heart attacks. 6. Sweet potatoes are rich in potassium, which will help you maintain the electrolyte balance of your body. The lack of proper electrolyte balance leads to heart, kidney, nerve problems and muscle contractions. Thanks to the potassium in your body you will successfully control your blood pressure, which is a good prevention against stroke and heart attack. 7. Have a relaxing effect on the nervous system, which will have a full effect on the level of stress in your body. 8. Help the hormones function properly in your body. One of the most important elements is vitamin D, which helps to absorb calcium. Vitamin D also acts as a hormone that helps keep your mind and body in excellent condition. Without adequate amounts of it, it leads to disorders, aging, weak bones, nervous problems and, last but not least, thyroid disease. Sweet potatoes have an unforgettable taste and aroma that you can combine with lemon, garlic, coconut milk and chili. Their preparation is easy and varied, which will be a pleasant surprise for both you and your loved ones.